It’s hard not to like a company whose mission is to heal the world. According to Purium, their driving force is The Million Mom Movement: empowering 1000 women in 100 communities to help 10 families each eat cleaner and greener. If they can do it, it really could heal the world. The question is whether they can. Purium is a multi-level marketing company founded by Dave Sandoval — it was originally known as Organic by Nature — that sells products related to health and diet. 1. What does Purium sell? Organic superfoods that support cleansing, weight loss, performance, family nutrition, and anti-aging. 2. What are Purium’s most popular products? The 10-Day Transformation weight-loss set is Purium’s most popular products because it promises to activate your “skinny hormone,” reset your metabolism, and kickstart fat burning. 3. How much does it cost to join Purium? You can enroll as a Purium Brand Partner by purchasing a starter kit at either $49 or $199. 4. Is Purium a scam? No, Purium is a real business offering real products. They are USDA Organic certified, Non-GMO Project verified, and Good Manufacturing Practice certified. 5. What is Purium’s BBB rating? F, for not responding to customer complaints. So should you promote Purium? Either way, here’s the full review on Purium. As mentioned earlier, Purium Health’s main product is its 10-Day Transformation Program. The program promises you the chance to lose 5 to 20 pounds while also re-setting your metabolism in a 10-day span. The kit for the program includes a handful of the company’s products, as well as a gym bag, tape measure, and instructional guide. Purium Health has a rather unique payment system compared to other multi-level marketing companies (like Vida Divina or Nefful). The company uses a Gift Card Marketing System in which they give members a set of $50 gift cards to distribute at their discretion. The distributors pay nothing for the gift cards, but they don’t receive any money until the gift cards are redeemed for a 10-Day Transformation kit, at which point they make $50, with an even bigger payday coming if the person redeeming the gift card also becomes a member. The thinking behind this plan is that handing out gift cards can make it quick and easy to sign up new members, allowing you to grow the network under you, increasing the income you make on purchases made by others. Purium Health also has a slew of bonus and incentives for its distributors as they make their way up the company’s ranking system. The full list of bonuses is available on the company’s website. The unique and rather simple compensation plan helps Purium Health stand out among other MLM companies. By using a gift card system, there is less pressure on making sales, as distributors are merely handing out opportunities to others to utilize the gift cards. Obviously, you have to be judicious about how you hand out the gift cards, lest they go to waste, but a clever person will be able to figure out how to hand out the gift cards in a way that will produce an economic return. The company also sets up its distributors with training and support materials that can help teach them the right way to go about building their business. Another way Purium Health distinguishes itself is the fact that the company employs a Naturopath, who offers free nutritional consultations to members. The Naturopath can recommend products based on your lifestyle and medical history to help you reach optimal levels of health. For anyone who takes a holistic approach to his or her health, this can be a big draw. 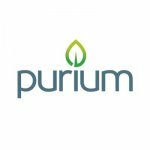 On top of this, Purium Health’s products have been certified organic, which is another plus for health-conscious people, as it confirms how serious the company is about creating and selling healthy products. Unfortunately, there are some concerns with regard to Purium Health’s products, specifically its 10-Day Transformation Program. In addition to being expensive, costing more than $200 even with a $50 gift card, the validity of the 10-Day Transformation is not backed up by any clinical research. No independent studies have confirmed any of the claims made by Purium Health about its program. That doesn’t mean the program is a hoax, but obviously, there are no guarantees. Moreover, the company recommends that anyone planning on attempting the 10-Day Transformation Program consult with their doctor before doing so. This is particularly true for anyone taking any medication, either prescription or over-the-counter, which is enough to make you question the program. There have also been a slew of side effects reported by those participating in the 10-Day Transformation Program. The program is designed to flush toxins from your body, and so certain side effects are almost expected. Some side effects can be a sign that the program is working, but that doesn’t make them any less unpleasant, including nausea, headaches, and irritability. One final issue to be aware of with Purium Health is the presence of several unresolved complaints filed with the Better Business Bureau. In general, there have been few complaints filed against Purium Health, but its inability or unwillingness to resolve these complaints is somewhat troubling with regard to the company’s business practices and customer service. Purium Health is nothing if not a unique multi-level marketing company. It’s certainly an interesting option for anyone looking for a quick and efficient weight-loss method or anyone with an interest in holistic living or Naturopathy. The compensation plan is also distinct from many MLM firms and could be a fruitful venture for someone with a sales and marketing background. Its flagship product has not been independently verified or endorsed by the scientific community and should not be used without approval from a licensed physician. Just think about that. Purium is not certified organic either…It’s just a claim..So flushing toxins at this price with a non certified product concerns me. The reason they are not 100% organic is they source the highest quality product. Just because something has a USDA stamped organic label does not mean its monocropped, sprayed with “organicly labeled” pesticides, and are part of large industrial farming that does not focus on the microryzone, soils and biodiversity of the environment. I hear your cons and pros but I would spend more time srutizing the organic line of food at Whole Foods and Safeway then a company that holds true to quality and holistic education of nutrient, healthy and our own intuitive wisdom towards our own bodies. Thanks, that was a mouthful. Purium is absolutely Certified Organic. Not every product is %100 organic but those that are, certainly are Certified as such. I’ve actually completed the 10 day program last year (2016) and lost 11lbs in 10 days and ended up losing 22lbs during a 3 month span. I definitely felt 100% better overall and that is why I just started another 10 day cleanse, not to mention I did gain some weight back. as with everything in life, it’s not for everyone, but if you can follow the process it does work. Awesome feedback, Lee. Glad you saw success. It’s been a year, Lee. How are you doing now? It’d be great to hear of the long term success of the product! Or, not. That’d be good to know, too. It is rather expensive. I am on day 5 of my first 10 day Transformation program. I have experienced no negative side effects. I am not hungry. I am not crabby. I am not tired. I agree it is an expensive product, but for my personal situation it is no more expensive than going to the orthopedist, knee surgery, and pill pushing weight loss doctors. In these 5 days, both of my knees, plus a shoulder, have stopped hurting. One knee had surgery last summer and I was fearful that I was looking at surgery for the other knee. I spent over $300 in a 3 month period taking a prescribed weight loss medication. When I couldn’t afford the visits anymore the weight came back on and then some. I wanted a product that would cleanse my cells, give me energy and perhaps some weight loss. If I didn’t lose a pound or an inch, I’d still say this was successful. My knees and shoulder alone have made it all worth it. I actually completed the 10 day transformation in October 2016. I eat pretty clean but indulge too. I absolutely loved the way I felt, had tons of energy, lost 10 lbs, and 2 inches in my waist. I followed the program to a tee. I was hungry going to bed day 2 but after that I was not hungry. I had my mom, husband, and friends try. They mostly all had similar results. I have realized that the more unhealthy you were prior to cleanse, the longer it takes to feel good on the cleanse. Which makes sense because you are getting rid of toxins. I did have one friend who hated the taste, was hungry and stopped after day 2. She had a lot of stress in her life at the time she tried. Stressful times, women’s menstruation times are not suggested for any cleanse. And cleansing is not for everyone. It is hard and challenging. If something doesn’t challenge, then it will not change you! Hope this helps! I am not a consultant, but will share my experience to help others get healthy. I have tried many other products and never felt this passionate for a product. Great comment – probably the first of its kind. Lady (consumer) uses multi-level marketing product, finds success, doesn’t plug it in her comment. Monkfruit is used as a calorie free and sugar free natural sweetener. It only grows in Asia and specifically in China. The organic certification process there is not what it is in America. However, so little has to be used that if someone knows what to look for and how to avoid the biggest risks, it’s well worth it to use monkfruit to give a bit of sweetness to the shakes since most people are T.O.X.I.C. with sugar and don’t even realize it. Plus health food stores and co-ops are in the business of palate pleasing these days to the extent that they minimize health for purchasability by uneducated consumers. It takes a lot of work to develop the insight, infrastructure, and manufacturing that it takes to do what Purium does. I know because I have a production food based business, too. It’s very expensive to do and do well. VERY. The 10 day and the 30 day are no more expensive that what I spend in a normal month of food if I eat out (and not at 4 & 5 star places) – the cost is around $13/day to be on the cleanse and $5/day to maintain it. No more cravings for coffee and better skin and digestion? I’ll take it. It takes commitment on your part and when you are tired of feeling like crap and you know what you’re facing in terms of health in the future, it’s not hard to commit yourself and the products are doable. Lastly, anyone on the planet knows that America is lawsuit happy AF so the required thing to say is to check with your doctor. That’s unfortunate. They should be saying: check with a certified holistic health practitioner trained in nutritional methods of healing b/c doctors know less about nutrition than I do about rock science. Unless they are specifically trained and certified – and most of those doctors aren’t on the insurance system to avoid lawsuits. So rather than chase your tail around like a dog, get with someone who personally knows and understands exactly how to help you with Purium and talk with the Naturopath. I’ve gotten so much energy back and strength and am loosing weight on my 10 Day. It hasn’t been hard. It has taken clarity to know why I’m doing it. And why other things weren’t working. at $205 minimum for 10 day cleanse, it doesn\’t pencil out at $13 a day. That being said. It may be worth the price. I just got mine and plan to start in a day or two. The worst program I’ve ever tried! Please, don’t buy the lies they are trying to sell you. I’m on the 5th day of the 10 day transformation program. So far, apart from being deprived of food and taking supplements in place of a meal like if I were an astronaut, I don’t see any benefits at all. What Purium’s advertising claims -“my pants are falling down, I feel great and energetic!” seems a total lie to me. For me, this program has been only pain, bloating and deprivation; I look and feel worse than before; moreover, I didn’t lose any weight at all. I feel horribly bloated and experienced such strong stomach pain that I could barely breathe. Moreover, the pain wakes me up at night. I have to breath shortly so that I don’t feel the pins and needles. The program s a rip off; I know there are people out there suffering form orthorexia, that are obsessed with healthy eating and will do anything to satisfy such addiction. But please, use those $350 bucks wisely; don’t be gullible and don’t allow yourself to be ripped off! Sorry to hear this Lila, I have heard of similar problems during the first part of the 10 day cleanse (and it can happen on any cleanse for that matter). I recommend calling or mailing their Naturopath, who is on staff. You might have to leave out Ionic Elements or the Super Lytes. When I first did the 10 day cleanse I had to leave out the Super Lytes and Ionic Elements because the cleanse was going too fast (and I was gaining weight) and my intestines had a hard time eliminating it. I also had to walk way more to get my elimination going, take hot baths, drink ginger tea and more water, way more than I was drinking during the first half of the transformation, etc. In a strange way it was working too well. But each of us is slightly different, so that is why it helps to talk to their Staff Naturopath. As a health professional I was lucky enough to be able to tweak the 10 day cleanse, but otherwise I’d have taken the advice of the person I received the gift card from to call the Naturopath. And sometimes it solves itself after the first half of the transformation. sleep…I didn’t realize it but before I started I cought a serious sinus infection that led too an infection in my mouth… swelled my face up and My front tooth died…it F-ing sucked…I was bed ridden cranky as hell and hurting for five days….but i stuck with it…i made sure to drink tons of broth and water and I stuck with the plan. I ate healthy foods as recommended and by day seven I was feeling really great. I was astonished. I lost weight but more noticeably I lost inches. Even more importantly I felt good and was super focused and clear for the first time in over ten years. One thing I did was… I drank a Senna tea to get things moving the first 5 days. …I’ve heard of people adding aloe juice to the nightly cherry. That’s one thing they missed is the necessary boost to get the bowels moving. It sounds like your body was dumping a ton of toxins and it overloaded you system. Now that I am on my second cleanse…day five was actually hard for me…a lot of emotions up and super tired..a lot of anger. Today I feel great and I know it’s only an up swing from here. I share all this in the hopes that maybe you’ll give it another try. If you do…drink tons of water and take a healthy suppliment to get your bowels moving. Sorry you don’t like it, not everything works for everyone. You could be seriously detoxing. Also there is a 60 day money back guarantee if it’s not working for you. I suffer from GERDS, serious digestion issues, bloating, mental fog, lack of focus…etc etc. My 10 day worked wonders for all of those issue and i stick with the core 3 daily. I was not at all hungry on my cleanse…i barely had any of the flex foods and sometimes was an effort to get the 3rd shake in. I am recommending it to my massage clients if they have similar issues. And again , if it doesn’t work or you don’t like there is a 60 day return policy. Sounds like a few cases of allergic reactions! Yikes! But for the rest of us, we’ve all been steeped in preservatives and pesticides for the last 60 years, so I doubt there’s much in Purium that’d hurt 99% of us! Purium is nothing but a pyramid scam. The products DO make people sick. There are options in the market that are a lot healthier, safer, actually certified organic and they do not cost $290. Purium relies on morons who don’t do any research. They also pay people to search the web and post good reviews from “real customers”. They tried to do that on Amazon but it didn’t work. They are swimming in lawsuits, the way consumers swim in diarrhea after ingesting their “organic” products. Too bad people are lazy and fall for a good sales pitch. I never received a sales pitch. A friend gave it to me because she wasn’t using it. I started using it 3 months ago and actually started learning about it afterwards. I feel great. I already eat very healthfully and this product has helped me tremendously. I’m actually on here doing more research information about the business side of it to see if it is something I want to do in the future. Not everyone will see great results on every product but I feel like your comment only wants to make me want to join more. Sorry you ended up not feeling well. Maybe you’re upset you fell for a sales pitch and didn’t use under the supervision of a nutritional wellness doctor. I’m happy with it so far. Sorry your not. Purium products are organic. They aren’t supplements – in terms of the 10 Day health transformation. It’s actually food. So, by and large 10 days of food costs more than $200, right? Also, the best way to start a 10 Day cleanse is to ease into it. Using the system as it is designed for 30 days is much better and more reliable. People are detoxing coffee, sugar, gluten, dairy, processed foods, medicines, heavy metals and more. That can cause some detox symptoms. My firs 30 days didn’t hit me hard with detox but if it had, my results would have been totally worth it. My health is #1 to me. I saved $300 for the first visit to a Functional Medicine MD and started my own business, got a health protocol, and the nutrition I needed for 30 days for less than $550. I also cut my grocery bill and eating out bill down to 1/4th of what it was before. I can’t say enough about how great these products are… nothing works for every single person yet there are hundreds of thousands of real people who have had very positive experiences with Purium products. Our compensation plan also just took first place as far as I am concerned. Purium is one of the fastest way to lose weight with side effects. Many people can’t tolerate it. The thing that I like most is their refund policy. If you can’t take it they’re ready to give you the refund. As these are the food, we can take it or test it. I have been taking Purium Core 3 for almost 2 years. I have lost weight and am still amazed on how it has been so wonderful for me. I never like to eat fresh veggies and the shake is the best way for me to get the green nutrition I need. The diarrhea is from toxins coming out of your body. Once they come out from my experience it is less frequent. If you can’t handle that I feel for you. Keep them nasty toxins in your body. Not everything works for everyone and it’s not nice to insult them just because it didn’t work for you. You could be advising someone not to use it when it could benefit them. I don’t market it and my upline wishes I would, but I faithfully purchase Core 3 every month and sometimes get extra aminos when on sale. The aminos themselves have given me more energy when going to the gym and if I need to wake up in the am but don’t want to eat. When people ask how I lost weight and look good, I tell them about Purium and I let them know if they want to try it to let me know and I can purchase it for them. I purchase it for my best friend who gives the “Green Juice” to her 2 year old who has named it that and he won’t eat a lot of veggies. Some people can’t afford it. I don’t know what I would do without it. My sugar and fatty foods cravings have gone as well the fact that I eat less of those foods. Thank you for looking into it and writing the article. I have been using Purium daily for nearly three years. I have done the 10-day cleanse with various alterations roughly 10 times and use their superfoods for optimal nutritional support along with an Intermittent Fasting strategy between my quarterly cleanse. Purium’s compensation plan and business strategy have changed a great deal since this blog was written. They now place greater emphasis on developing loyal customers. I will refrain from jumping into the details of the plan, but definitely encourage this MLM considering their products are far superior to any available in the market…and, the compensation plan just makes sense. It’s giving. Simple. Flexible. If someone is having a tough time with a cleanse, I recommend they take a good look at their approach and realize it is crucial to make modifications if necessary. This isn’t rocket science…it’s food. Listen to your body and become part of your change. I’m on Day 5, no issues. Lost 5 lbs so far. This isn’t hard at all. I will say it was smart of me to stop drinking regular coffee long before starting this. I dropped down to decaf for a couple of days and then stopped completely for the start of the 10 days trans weight loss. I used to adhere as best I could to Atkins so this whole vegan thing is a little weird for me but it’s working. Nice eating all the cumcumbers I want! Fruit is great. Avacado for dinner. The shakes taste very green, lol. I needed something to kick start my weight loss, I need to dump 20 lbs I gained dating my ex all we did was go out and eat and drink eat and drink. He’s gone and now I’m getting my body back. Getting past the first 10 lbs will be great. This is not only cleansing my guts but getting my head back on straight about how/what I eat, being focused on it, small meals throughout the day, etc. Hard to do that at the beach when everyone parties here 24/7. No nausea, no diarrhea, no headaches, nothing. Just watching the clock for my 2 hour spans and following the plan. And watching the weight fall off. Now I have to finish the gig, hit my goal and figure out how to eat healthy without putting this back on. Onward.